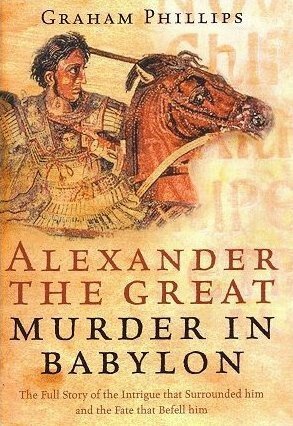 Alexander the Great: Murder in Babylon is a real-life historical detective story - a true tale of murder and mystery that has remained untold for over two thousand years. In the second half of the fourth century BC, the Macedonian king Alexander the Great created the largest empire the world had ever known. On June 11, 323 BC, in the ancient city of Babylon, at the very height of his power, he died suddenly of a mysterious illness at the age of thirty-three. For centuries scholars have debated what really killed the man who was arguable history’s most successful soldier. Ancient sources record every detail of Alexander’s strange and shocking demise after attending a feast to honor a fallen comrade - but the cause of death has never been established. Now, with the help of the Los Angeles Police Department and scientists at the University of Southern California, Graham Phillips reveals compelling forensic evidence that Alexander the Great was actually poisoned by a member of his court. English edition: Virgin 2004. Tanslations: Colori (Polish). Please click on image to order this book. In Alexander the Great - Murder in Babylon Graham recreates the scene of the crime to reveal eight prime suspects, each with the motive and opportunity to have assassinated the king. Examining their lives, he uncovers a maze of intrigue, power-play and romantic tragedy that led inevitably towards Alexander’s death. Ultimately, in a dramatic twist in the tale, the one person with the means to commit the murder is finally unveiled.